The 770 QE is a sewing and quilting machine with an optional embroidery unit available. 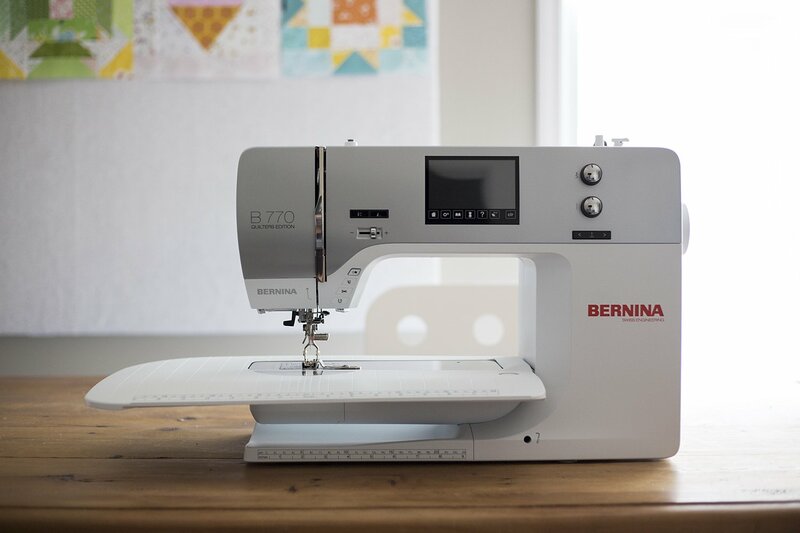 The BERNINA Hook with its 9-mm stitch width allows you to sew precise stitches at faster speeds while the JUMBO bobbin can hold up to 80 percent more thread than standard bobbins, letting you sew with fewer interruptions. A full 13-inch extended freearm, includes 10 inches of space to the right of the needle, along with the BERNINA Stitch Regulator (BSR) and the Free Hand System for hands-free presser foot control, makes it ideal for quilting or other large projects. Dual feed makes it easy to handle fine fabrics as well as fabrics of different thicknesses at the same time. Add the optional embroidery module and enjoy a greater creative experience.